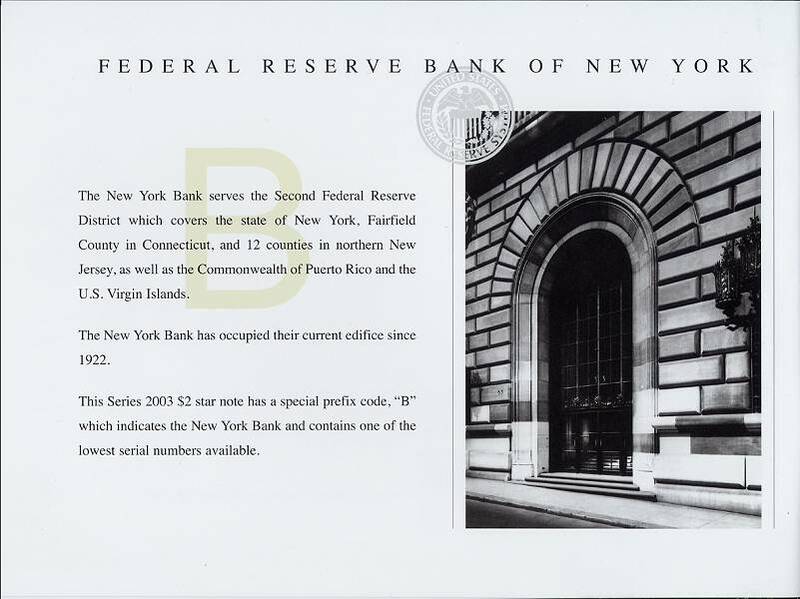 Only one Note per set has been picture above, Please remember you get Twelve Notes one from each district, all with the same serial Number. 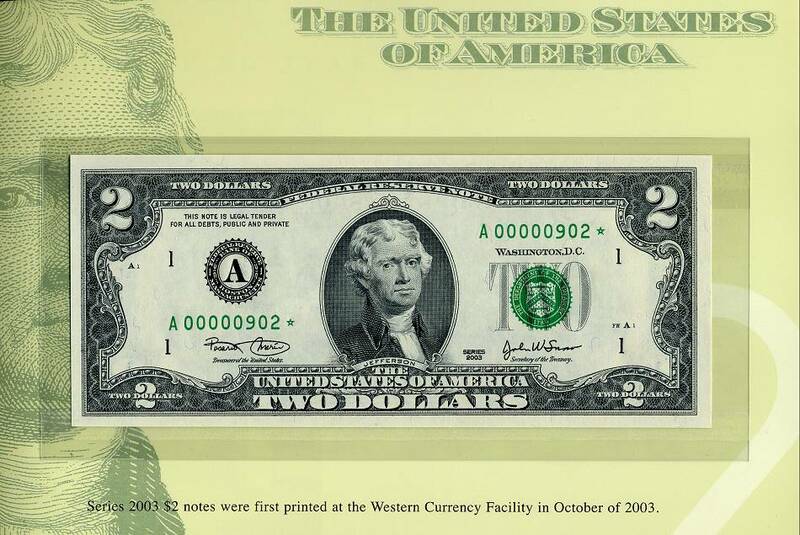 The Bureau of Engraving and Printing proudly presented this unique premium set of Series 2003 $2 matching notes. This is a limited edition set – only 2,000 world wide were produced. 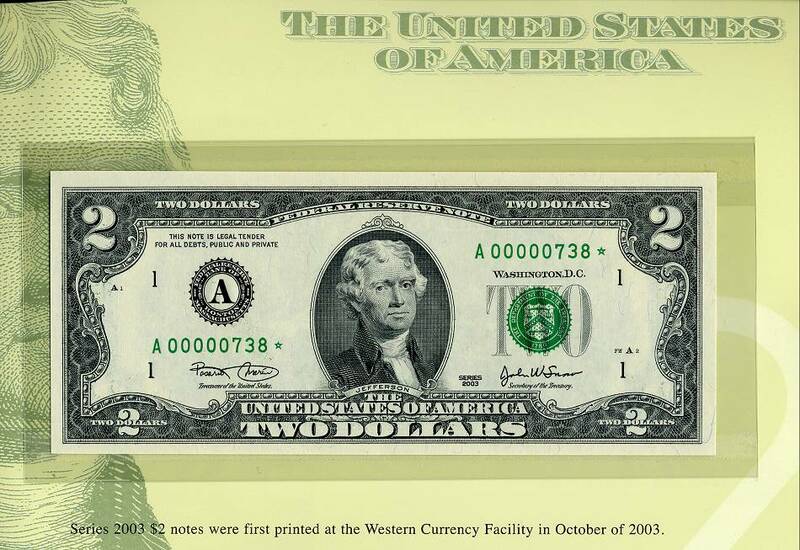 They feature a collection of 12 Series 2003 $2 STAR notes one each from the 12 Federal Reserve Banks. This remarkable set is handsomely bound and contains for the first time ever, STAR notes with the Lowest Matching Serial Numbers available commencing with 00000001*. 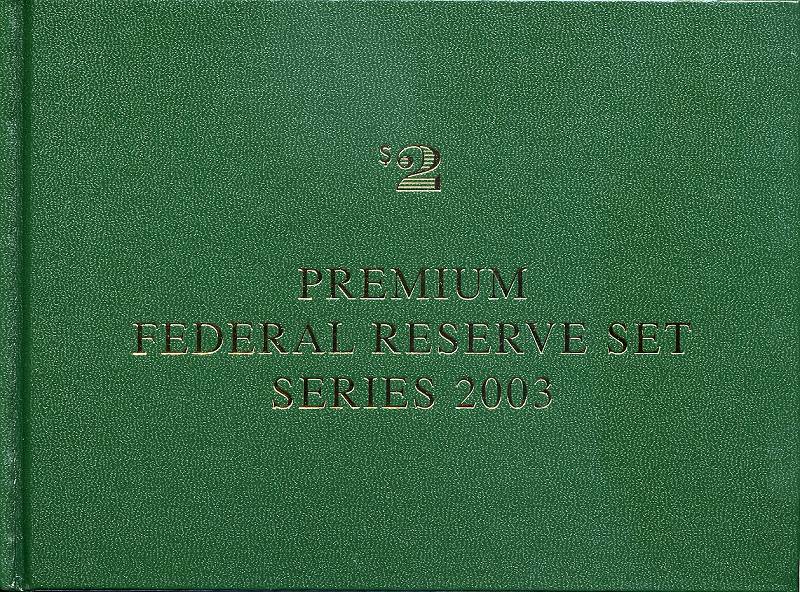 *The serial number range for this limited edition Series 2003 $2 Fed Set was 00000001 - 00002100. Due to quality standards during the manufacturing process some serial numbers were not made available this is why you will see numbers up to 2100. 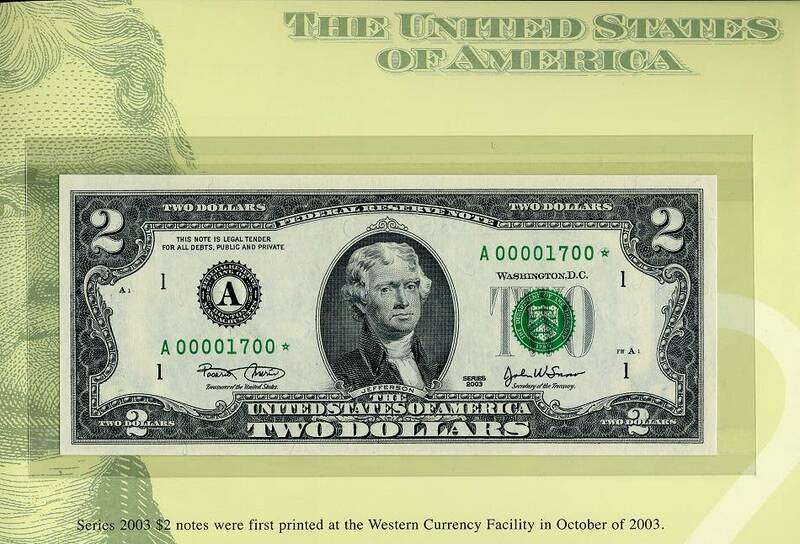 Please Remember you get Twelve Notes one from each district, all with the same serial Number.